Sanofi and Novartis have added to their early-stage cancer immunotherapy pipelines with new licensing deals as they try to catch up with the leaders in the category. Details of the Novartis agreement are sketchy, but the company says it has licensed four preclinical programmes from Massachusetts-based Surface Oncology's portfolio which target "regulatory T cell populations, inhibitory cytokines, and immunosuppressive metabolites in the tumour microenvironment". The candidates will be developed as monotherapies as well as in combination with Novartis' own pipeline of immuno-oncology candidates, which includes seven clinical programmes with five more scheduled to start trials this year. Novartis' immuno-oncology aspirations gathered pace at the start of 2015 when it set up a dedicated R&D team led by cancer vaccine pioneer Glenn Dranoff, and the portfolio is currently led by chimeric antigen receptor T-cell (CART) candidate CTL109 which is in phase II trials for chronic lymphocytic leukemia (CLL), mantle cell lymphoma (MCL) and multiple myeloma. Meanwhile, after some disappointments with in-house R&D, Sanofi's activities in immuno-oncology were kick-started by a $1.8bn alliance with Regeneron and a $1.5bn deal with BioNtech - signed last year alongside smaller deals with Selecta, Evotec and Apeiron Biologics. Now, the French pharma firm has added a €400m collaboration with Innate Pharma to develop bi-specific (double-headed) antibodies that will target both tumour antigens and NKp46, an activating receptor found on the surface of natural killer (NK) immune cells. Bi-specific antibodies can be used to bring activated NK cells in close proximity to tumours and encourage them to attack the malignant cells. 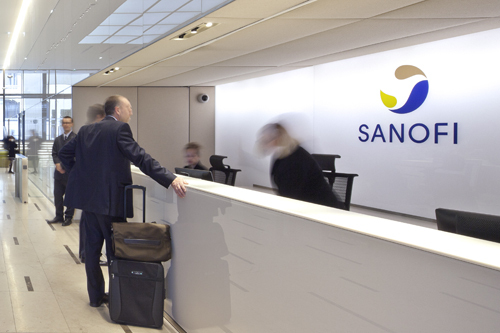 Under the terms of the agreement with two partners will work on one or two candidates, with Sanofi responsible for development, manufacturing and commercial activities. Both Novartis and Sanofi have a strong heritage in cancer treatment but have slipped a little behind the leading pack in the emerging immuno-oncology category, which is expected to grow into a market worth tens of billions of dollars a year. Currently the market is being led by Bristol-Myers Squibb and Merck & Co - both with already-marketed products - with AstraZeneca (AZ), Roche and Merck KGaA/Pfizer snapping at their heels.